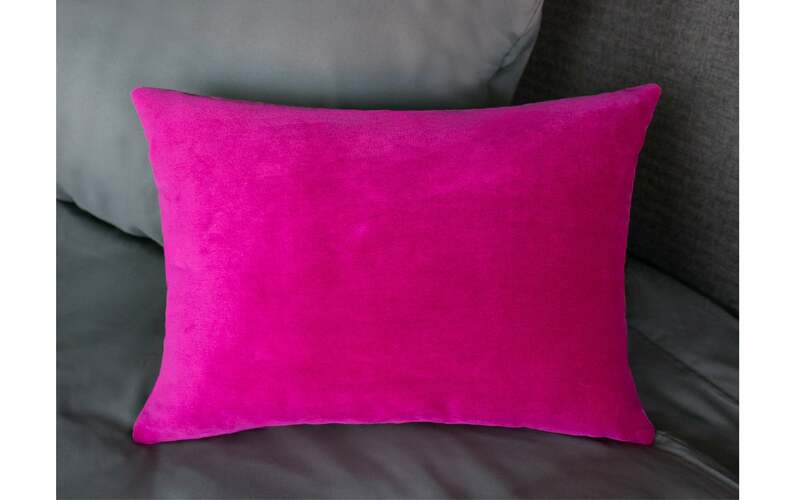 What could be more inviting than this indescribably soft and luxurious velvet in a bold shade of pink? Nothing we know, and we can’t get enough of it. Wherever this pillow ends up, it will be the cuddly star of the show. This pillow is available as a 12" x 16" cover with zipper closure, and also with insert (see below).